On our last day with the hire car, we awoke to grey skies and heavy rain (not much different to every other day in Iceland for us). Undeterred, we set out to make the most of our last day “with wheels.” A previous plan to visit hot springs at Seltun was abandoned when we missed the turn-off. We decided to try again today. Success, we found the road. It was about an hour out of Reyjkavik and looked nothing like a main road, but the sat-nav said this was the way, so we took it. A gravel track turned into a bumpy track which turned into something that looked as far from my definition of a road as it is possible to be. Husband clearly rates his driving abilities higher than I do, he was unfazed, I was a bag of nerves. He called it an adventure. I called it reckless. Tensions rose in the car, but we persevered. The rain pounded down relentlessly. The sky was black and ominous and the wind howled. There was no sign of civilization, it felt like we were at the end of the world. I resigned myself to my fate, then did actually start to enjoy the scenery. This drive is really spectacular – on a better day, it would be mind blowing. We drove along the shores of Lake Keitarvatn. 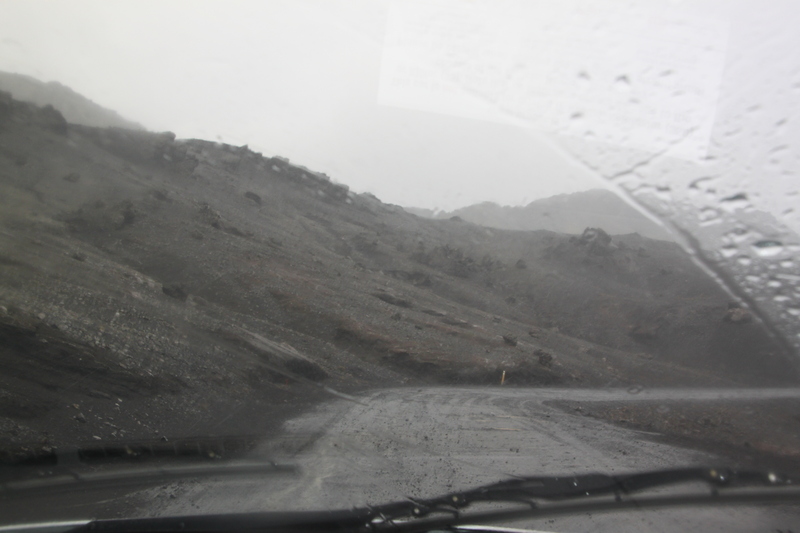 Everything is black – black hills, black sand and the waters of the lake lap right at the edge of the road. 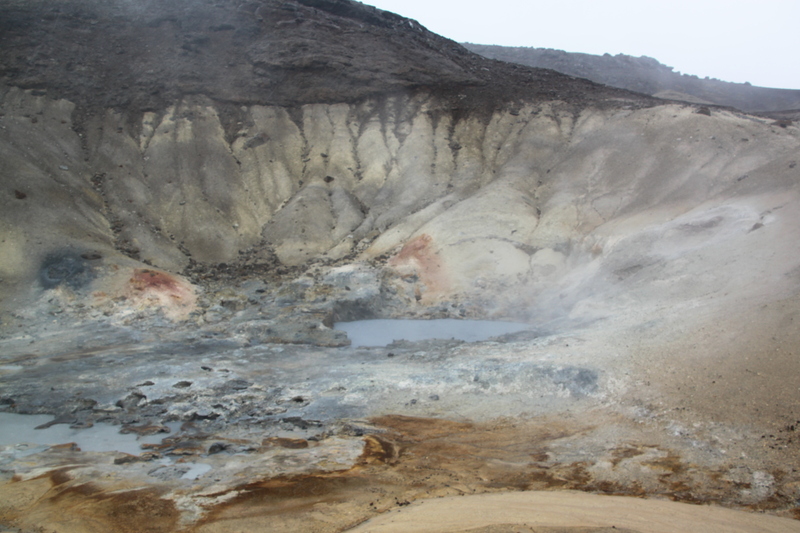 Eventually we came to the hot springs at Seltun. Not surprisingly, the whole place was tourist free. 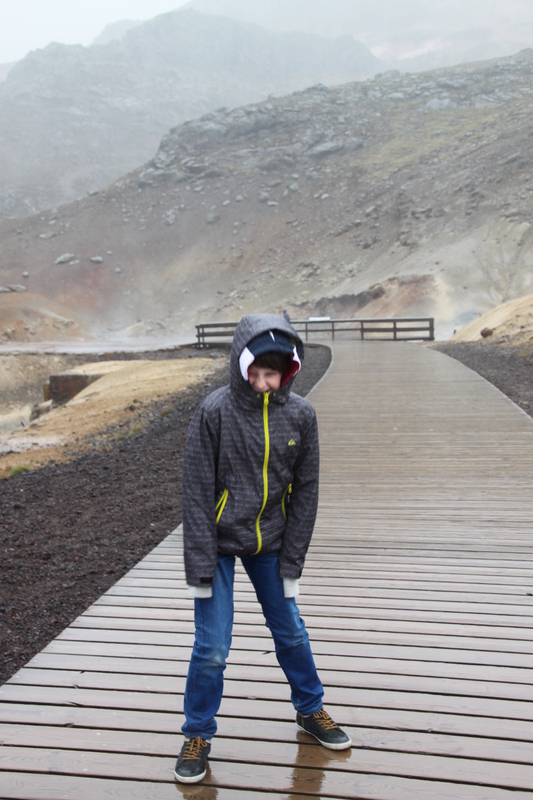 There are wooden boardwalks, it is easy to walk around and explore, we walked right up to the edges of the first bubbling mud pool and peered right in. It is fascinating. The colours of the earth – red, yellow, green are like something from another planet. The bubbly pools hiss and sizzle and are just amazing. After about 20 minutes, the 9 year old and I admitted defeat – he could barely stand up in the wind and rain, so enough was most definitely enough. We headed back to the car, husband was determined to walk around the whole area, so we left him to it. The price he paid for this last bit of sightseeing – soggy jeans for the rest of the day. Still takes some getting used to seeing Black Sand beaches… only sandy white beaches here in Australia. Thanks for sharing, thoroughly enjoy reading other traveller’s blogs, so inspiring. Thank you – I love reading other travel blogs too, an obsession of mine. 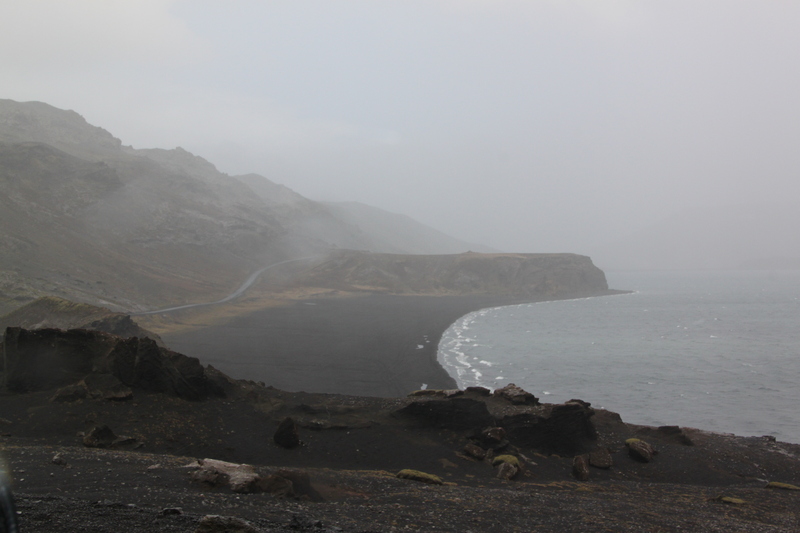 Black sand is very weird…. we were fascinated with it. 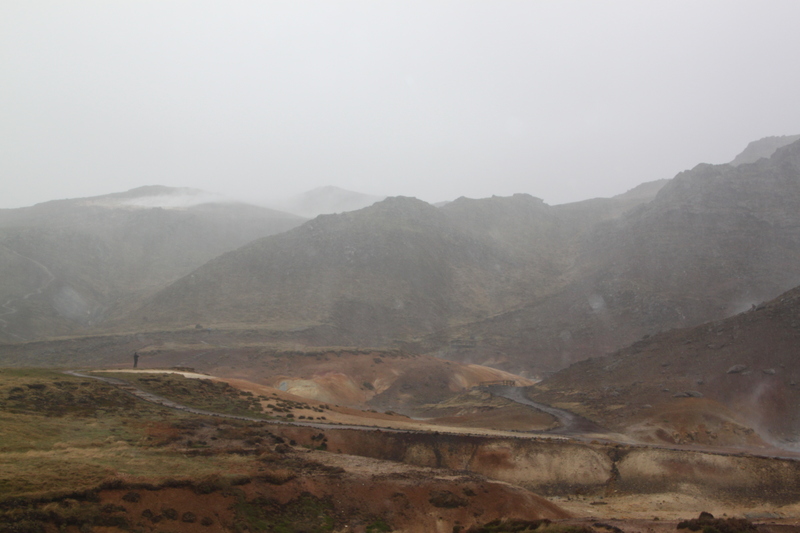 Dreaming about Iceland lately…good for you for taking this drive in the windy & rain even though it was scary. It really does look like another planet! The weather was not on our side for sure, but now I have almost forgotten about that and just remember what an incredible experience to look at the hot springs!! Iceland is amazing – I definitely recommend it. Someday(not too far off)! Any particular places you’d recommend there? We stayed in Reykjavik and spent a fair bit of time exploring there. Loved the city and the scenery, also loved the Golden Circle, the Rekyjanes Peninsula and the Blue Lagoon (touristy though it was!). Have written other posts on these places too, maybe there’s something useful in them for you!! Happy planning.